Beef dripping is back in vogue and sales are soaring. 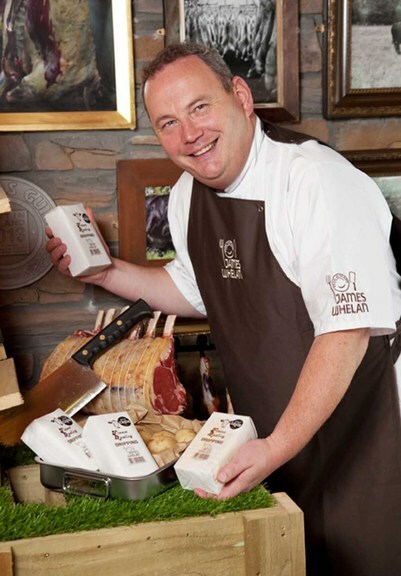 Barbara Collins talks to butcher Pat Whelan about the product that took centre stage at this year’s Great Taste Awards. The craft of butchery goes back five generations in Pat Whelan’s family and, thanks to consistency and sharing knowledge, the Irish collective have recently found themselves at the centre of much media attention. From 10,000 entries into Great Taste 2015, judges awarded the top honour of Great Taste supreme champion 2015 to the beef dripping product from James Whelan Butchers of Clonmel, Co Tipperary. Judges hailed the product as ’astonishing with its pure beefiness and savoury depth’. The dripping, they said, was ’a simple, quite humble product made exceptionally well by a master of butchery’. Pat was looking for a way to use every part of the animal after joining Origin Green, an organisation which promotes sustainability. “I think we are really lucky to live on this part of the planet and we are sitting on the largest plinth of limestone in the world. The calcium from this limestone makes its way into the green grass eaten by the animals who go to make the beef. Pat began thinking about reducing his carbon footprint and saw how bone and fat was discarded. “It was my mother’s idea to make beef dripping. The first attempt was a combination of channel, back and kidney fats. My wife, who is Lithuanian, suggested we have a play around with it and we rendered down each fat separately. “The flavour of each was totally different and we came up with the blend we use now,” says Pat. Pat first agreed to enter the Great Taste Awards when he and the 29 other members of the Tipperary Food Producers Group decided to each submit one product. “We were talking at a meeting about how supermarkets had taken over the Irish Blas na hEireann food competition and I suggested we enter the Great Taste Awards in 2012. We didn’t know what to enter and decided on a whim to try the dripping. Pat believes the dripping captured the attention of the judges thanks to a renewed public interest in reconnecting with food. “We all ate dripping in the 1960s and then we had the madness of molecular gastronomy and now trends have gone full circle. At first the English loved it more than the Irish but now the family are selling out in both countries. Tapping into this nostalgia is something which comes naturally to Pat who is extremely enthusiastic about his trade and the wider industry. “Butchery is part of who I am. My mother and father set up James Whelan Butchers in 1960 in Clonmel, Co Tipperary. We lived above the shop and the slaughterhouse was out the back. It was all integrated which gave me a sense of belonging and purpose. He did not go straight into the family business though and, after studying business at college, he spent a series of gap years travelling the world. During this time he took jobs in the food industry with companies who knew of his family’s business. He then returned to the shop at Clonmel, taking over when his father, James, retired. He was an early adopter to e-commerce, setting up the second of the five shop they now have online. The site is a combination of e-commerce and information about what the company is doing. It is as interactive as it gets with links to Facebook, Twitter, Pinterest and Google+. There is also a blog as well as links to interesting foodie-related articles. You can even buy Beef Bonds online. “We then opened three more shops in Dublin in partnership with Avoca, a well-known Irish food, fashion, gifts and homeware business. I have always liked Avoca’s approach. They are beautiful shops and it just felt like a perfect fit for us as they care about food as much as we do,” says Pat. At home in Clonmel there is a well-established team of people who have built up a wealth of knowledge during the 55 years the Whelan family has been running the business. Pat himself is at the head of the operation but he says he could not do it without the dedicated people around him. The butchery aside, Pat also runs the family farm where he rears beef and lamb. They have their own abattoir on site which Pat says gives them complete control over the whole process from beginning to end. He favours the traditional Aberdeen–Angus and Hereford breeds and believes their profile complements the business. “To me, they’re the ideal butcher’s heifer. They cut well, the eye muscle isn’t too big. They’re also docile and friendly. He rears Texel and Charolais lambs and the abattoir does not spray the carcasses with water like some do. This, he says, allows the carcase to build up a nice ‘bark’ of fat. Fat is something of an obsession with him. He believes fat is misunderstood in the diet, largely because of what he learned on a trip to Japan in 2010. “I am interested in the science of meat and I decided to visit Kobe to find out more about the Wagyu breed. I was astounded to find out they naturally produce a fat which breaks down bad cholesterol. Old fashioned foods back in fashion? Following years of contradictions and the recent claims that bacon causes cancer, it seems that some old fashion foods are coming back in to the limelight.